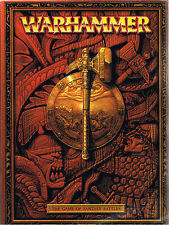 I turned into a wargamer about ten years ago, in the middle of 6th edition of Warhammer Fantasy. My cousins had won a 6th edition starter set in a hobby store and shared the contents. It looked really fun I thought, and my uncle had built a beautiful table that all but covered one of the rooms in my grand parents house. I had for a long time loved playing board games, and Warhammer felt intriguing with heavy advanced rules. Back then Lord of the Rings was also big. And it was a solid choice, especially as you’d needed so much fewer models to play. But it was Fantasy that it all began with, and High Elves. But I still remember my cousins Ruglud’s armoured orcs, and the metal giant he had so carefully painted up. I remember the summer when I got my first box of elves. It was Silver Helms. Loved the cavalry then, love the cavalry now. That summer the Corrs’ Borrowed Heaven had come out. But it was not until a couple years later that I began playing for real. And there was no turning back….